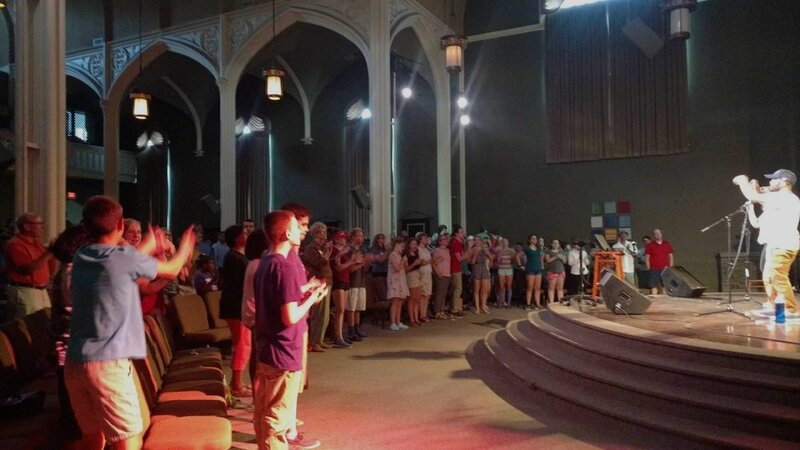 Each summer, over 1,500 students choose our missional experience. Serve the city this summer. This summer, immerse yourself in a cross-cultural setting where you’ll experience how Christ-like love crosses racial, generational, and denominational lines. Our seven- and five-day summer camps create opportunities to encounter the richness and diversity of God’s kingdom through healthy connections with peers, neighbors, and staff members. Since 1985, we have deployed over 40,000 people of all ages to the surrounding community. Staff members and volunteers experienced with healthy mentorship of students and worksite managent. Time for reflection, teaching, and worship after each work day. Programming and scheduling by our staff. On-campus activities and off-campus city excursions. Campus accommodations with a faith-centered mindset. Our summer programs separate junior high, high school, and combined programs in order to offer the most relevant experiences for each age group. Volunteers with skilled craftsmen experience with the ability to address special projects may qualify for promotional discounts on group rates.